PK8400. 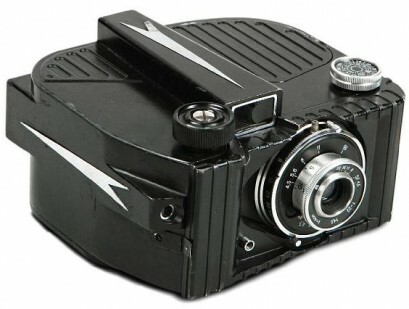 In the August, 1962 issue of the West Germany magazine "Foto-Magazin" appeared a short bulletin announcing the Janus: "In the Soviet Union, a camera named the JANUS will be soon produced. It is a clever combination of a 35mm camera, with many of the characteristics of the Smena, and of an amateur 8mm movie camera equipped with a fixed 2.8/10mm lens and a single speed of 16fps. 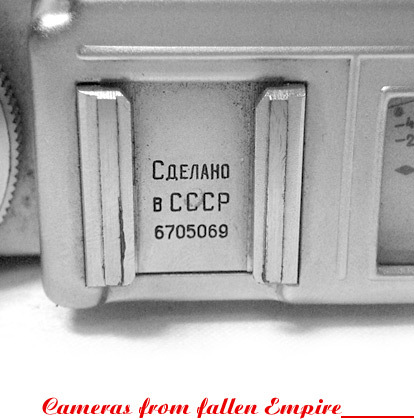 The two cameras are back to front in the same chassis, and it is possible to switch functions instantly, by turning the camera around" (source: "The Authentic Guide to Russian and Soviet cameras" by J.L.Princelle, 2004). Quantity: unknown, but very few. PK8400 - Janus prototype camera.